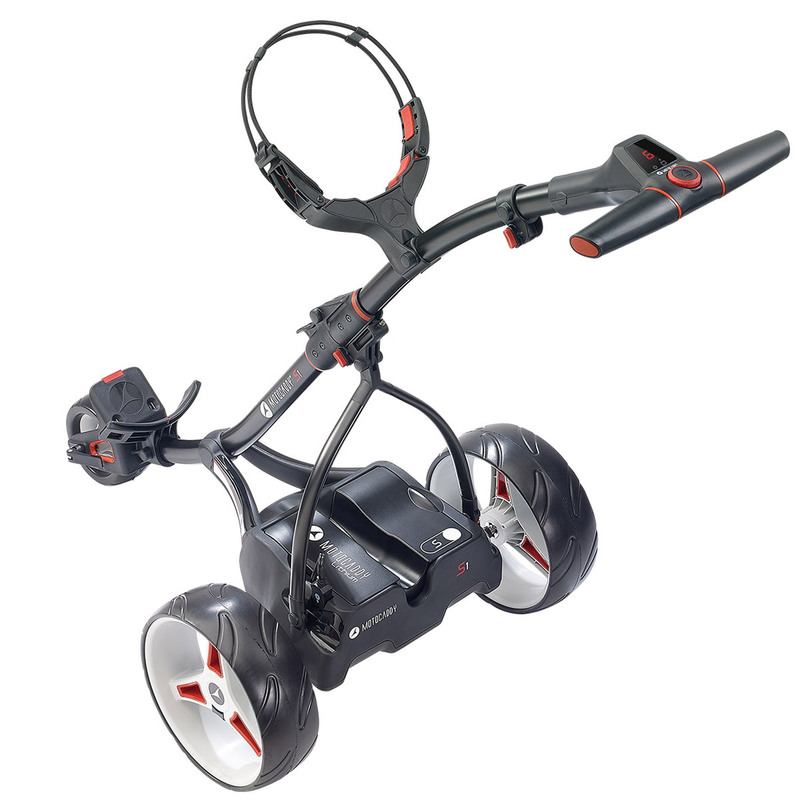 Given its lightweight design and easy folding set up, you can ease your way around the course. 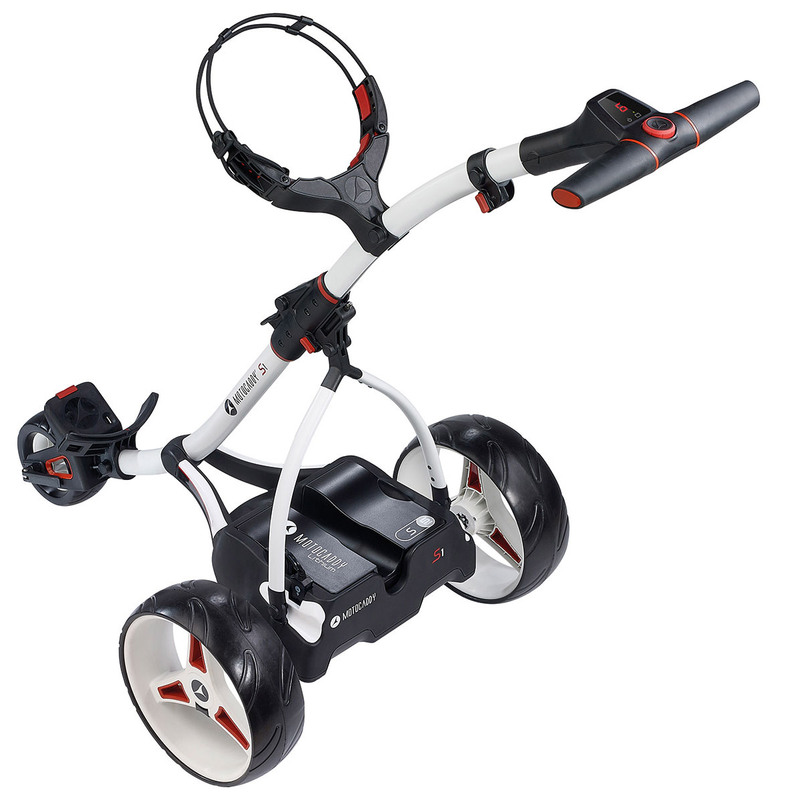 The Motocaddy trolley is created using aluminium and weighs just 8.9 kilos! The trolley has been made to utilise a quickfold function which allows easy and effortless folding for storing away or transporting. 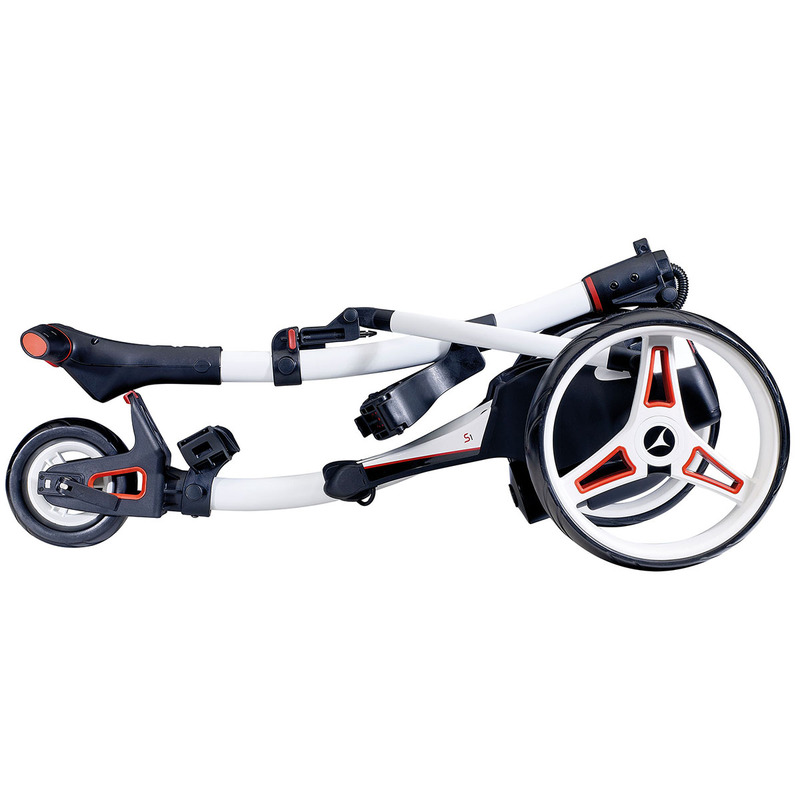 Balance is provided by using low profile wheels and the ergonomic handle has an easy to use digital dial. The digital dial features nine different speed settings to suit your pace and the screen indicates your battery consumption to allow you to know when it will need charging. The exceptionally quiet motor is 200W and is as quiet as a whisper to remove distractions. The battery tray is universal to allow for easy swapping of batteries as and when needed.